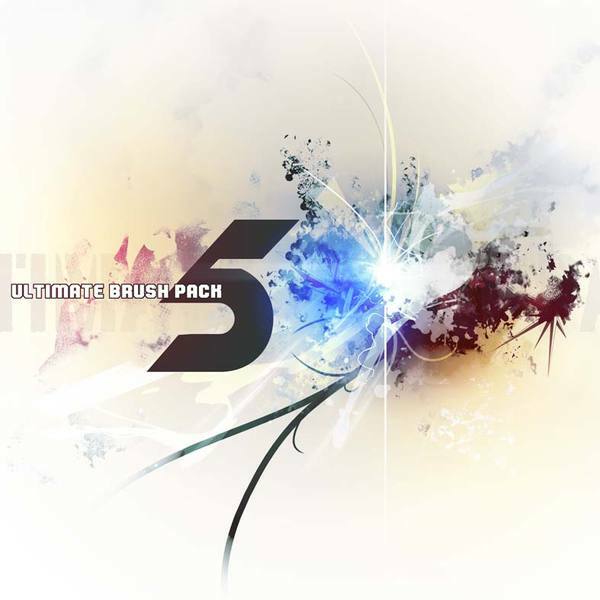 Ultimate Brush Pack 5! 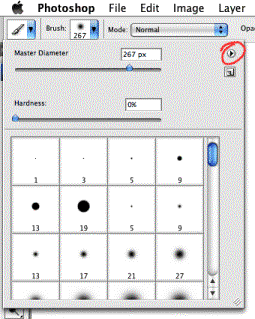 This set contains 87 high resolution photoshop brushes. If you've downloaded the .abr file and don't know what to do next, read this tutorial. Put the .abr file you've downloaded into the folder or C:\Program Files\Adobe\Photoshop\Presets\Brushes (on Windows) . 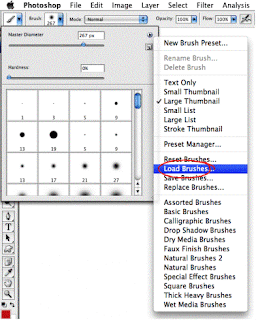 Then open your Adobe Photoshop, active brush tool, go to option palette and click on to open the brush preset picker. Then click on little triangel in the right upper corner. 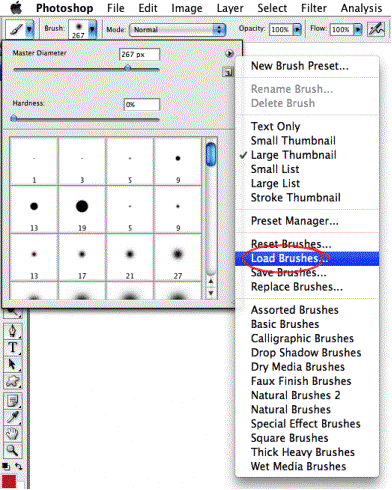 In the dialog box choose the .abr file you want to load and your new brushes appear in the Brush palette and are just ready to use.